Not much to say about today. As we went up towards the valleys we met the rain. And then it rained all day. I was soaked after about an hour... 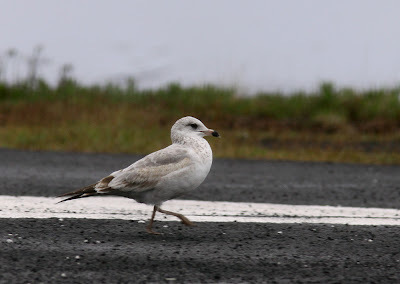 Still managed to see the Black-and-white in da Ponte, the Brent flying by the power plant, the two American Great Whites flushed by the car as usual and the Ring-billed Gull chillin' on the airfield. No new birds though. There HAS to be something new here! They are getting Pied-billed Grebes, Ruddy Duck, Chimney Swift, mixed American Gulls and other stuff on the other islands. HAVE TO KEEP LOOKING!